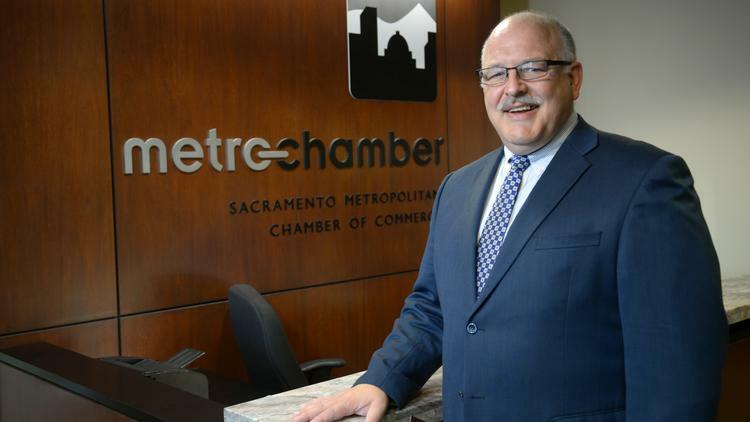 Robert Dugan joined the Sacramento Metro Chamber Jan. 1 as senior vice president of public policy and economic development. For the past four years, he has been the director of governmental and civic affairs for California State University Sacramento. While there, he advocated for campus facility needs and growth initiatives, and facilitated efforts to engage private industry with the university. Why the Sacramento Metro Chamber? What type of research has caught your eye? “I have 25 years of experience working with communities on our biggest challenges. All cities and counties have priorities; they just need a regional partner. It’s about putting legs underneath those regional economic strategies. Career: Dugan has spent his career in government and public affairs. He worked for a decade for state Sen. Tim Leslie, a Sacramento Republican, before entering public affairs and community relations for telecom and construction companies, including SBC Telecom, Pacific Telesis, Surewest and Granite Construction. He worked at Sacramento State for the past four years and joined the Metro Chamber early this month. Personal: Lives in Roseville with wife Beth and sons Tom and Patrick.